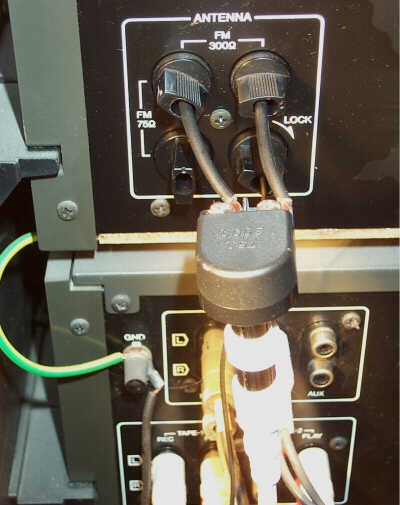 This FAQs page describes how to connect an FM radio to NTL cable. As far as I know, much of this information also applies to other UK cable operators. This is known as an FM hook-up - sometimes spelt FM hookup. There may be a particular station that you want that is only available on cable. 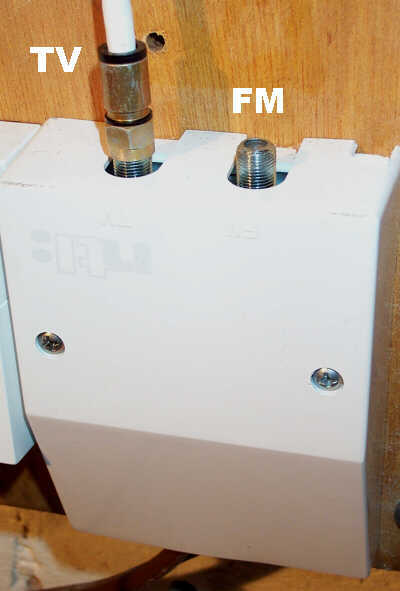 You may not be able to, or want to, install an external FM aerial. You may have a poor or non-existent terrestrial FM signal. In some areas, there may be a wider range of radio stations available on cable than from the local terrestrial transmitters. If you have an analogue set-top-box (STB) then you may appreciate the hi-fi quality stereo sound available for some of the TV channels. When watching a match on the television, you may prefer to listen to the commentary on Radio Five Live. This is possible using the FM hook-up but bear in mind that digital TV pictures are delayed slightly. It's easy to distribute an FM signal around a house so that, with cheap and readily available radios, you can tune in to different channels in different rooms. Each, expensive, set-top-box can only decode one channel at a time. Which channels can I receive? It all depends which cable region you live in. Check in fmfreqs.xls or fmfreqs.csv to see if your region is listed and then which channels are available. If you don't have Microsoft Excel then you can download a viewer here. Alternatively, most software that understands tables will be able to import the CSV version. At the time of writing this list is not complete. If you already have an FM hook-up and can contribute some more information then please e-mail it to the author - details at the bottom of the page. In the past there were some details listed on ntl:home and DigitalSpy but they have since disappeared. The best solution is to have the FM hook-up added when your cable system is installed or modified. However, I have heard reports that installers are not allowed to do this on digital installations. Otherwise, if you can't con a cable from the next installer you see in the street then, your only other option is to do-it-yourself. But be warned - I reckon that this probably contravenes clause 9.1 of NTL's terms and conditions. I'm not sure what stops this applying to a television that you might plug into your STB but take a look and see what you think. However, and this is my personal opinion and not necessarily that of NTL, this is such a simple modification that they would probably turn a blind-eye so long as it was done properly. So use the right kit and don't compromise our network. All right, I'm feeling brave! Locate the NTL isolator box at the end of your cable - it's probably on the wall somewhere behind your TV. This contains a splitter (probably a VQ330) to separate the FM radio signals from the television and cable modem ones. Check there is an FM connection on the box. This should be labelled 'FM' and there will probably be a little chromed terminator that unscrews from the connector - but leave it there for now. This connector is known as an 'F' type socket. Identify the aerial connection on the back of your radio / hi-fi. This might be 300ohm balanced (probably 2 screws side-by-side) or 75ohm coaxial (like a normal TV aerial connector). If it's balanced then you will also need a balun to convert it to coaxial and possibly, depending on the balun, two short pieces of wire. If it's coaxial then check whether it's a plug or a socket. The easiest way to tell the difference is to look on the back of your STB. All you have to do is connect the isolator to your radio so if you know what you need then buy the bits. Remember that a plug mates with a socket and not another plug! If you are lucky then all you will need is one lead from the isolator to your radio but you may also need a coupler and / or a balun. They are common parts available from a number of sources and probably your local electronics / aerial shop too. Check out fmprices.xls for some mail order prices. Connect your lead to your radio. If your radio has a balanced input then, depending on your balun, you might need to connect them using two short pieces of wire. Here is a block diagram showing how to connect everything together. By RF lead, I mean one with a coaxial cable that carries Radio Frequency signals - just like an ordinary TV lead. The digital STB can decode anything it's allowed to from the cable - but remember, it can only manage one channel at a time. 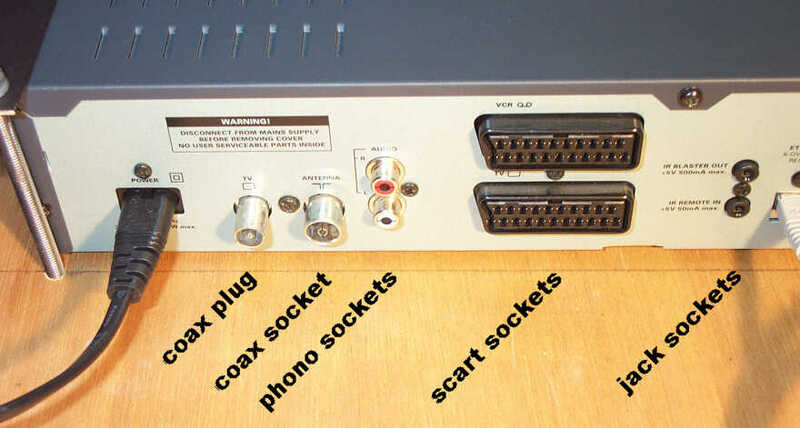 The TV can watch the STB or the VCR through the scart leads or any terrestrial channel through the RF lead. The VCR can record from the STB through the scart lead or any terrestrial channel through the RF lead. The hi-fi can listen to the STB and VCR through the audio lead or any FM station through the RF lead. If you have a new STB, with no audio output connectors, you should obtain an adaptor that splits these off from the scart connector. 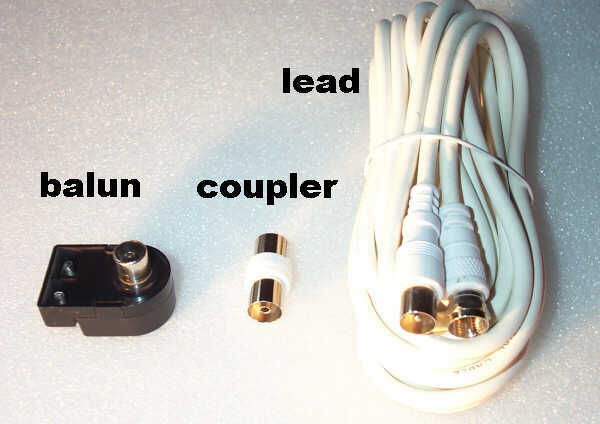 Note that, a scart plug has separate connections for audio-in and audio-out - make sure your adaptor connects to audio-out. If this wont work for you then remember that there are some more drawings in the Technical Guide for the STB and there are probably more with the manuals for your TV and VCR. Failing that, you could try Sony where they have some Connectivity Information & Diagrams on the relevant products pages. At the time of writing, NTL also sends unencrypted analogue versions of the basic TV channels (BBC1, BBC2, ITV1, C4, C5) down the cable. If you have an old version of the digital STB you can replace the terrestrial aerial with the dotted red lead. However, newer boxes do not have the pass-through function so this will not work. Rumour has it that NTL intends to stop transmitting these analogue signals but, since they still have plenty of customers on their analogue TV service, this may not be for some time yet. Can I connect more than one radio? Yes, of course, but this is going to involve a lot more work. Don't be tempted to use an FM transmitter or the Radiocommunications Agency will come and get you. The diagram below shows how you can distribute both the television and radio signals by cable to a number of sets throughout the house. It might look complicated and expensive but it isn't really. The biggest problem is routing the cables from the distribution amplifier to the other rooms. The main equipment can watch / listen to any channel as described above. The secondary television equipment can tune to the STB, the main VCR or any of the terrestrial (or unencrypted analogue cable) channels. The secondary radios can tune to any FM station. Note that each piece of equipment can be tuned to a different channel. 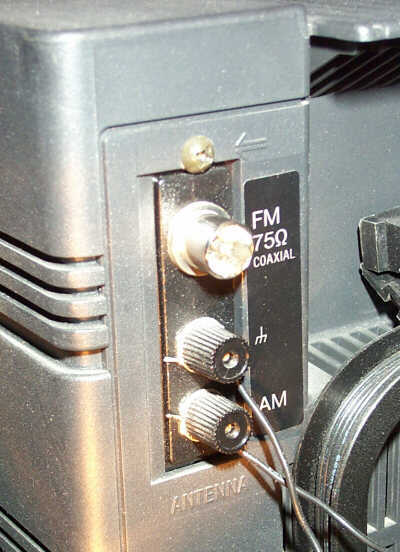 More equipment such as games boxes or further VCRs can be connected at point 'X' but the signal from the STB and main VCR will be degraded slightly. If you have an old STB, with an analogue pass-through, then you can dispense with the terrestrial aerial. If you keep it the cable signals may interfere with the terrestrial ones. If this happens you will need a combiner, otherwise known as a CCW230, and available from NTL. You will also need one of these if you have neither a pass-through nor an aerial input socket on your STB. Distribution amplifiers come in all shapes and sizes and are sometimes known as signal boosters. 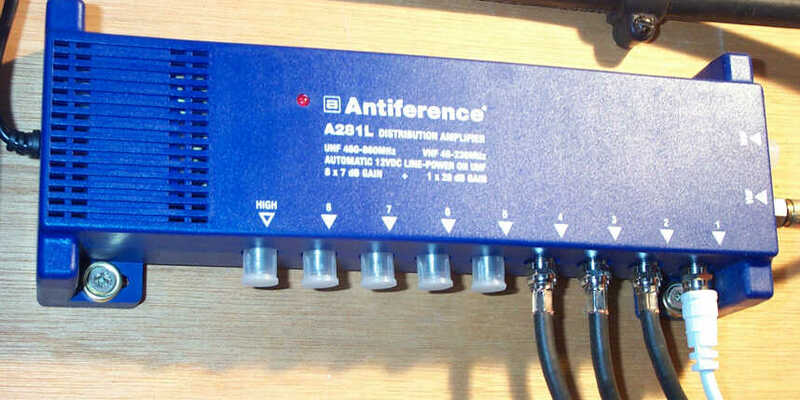 I chose the A281LT from Antiference because it has lots of outputs and uses F-type connectors. 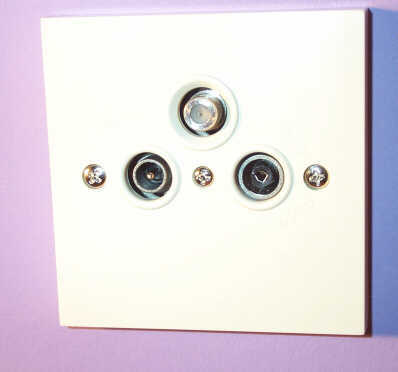 A diplexer is just another name for a TV / FM wall-plate. I used ones with a satellite connection and also CT100 (satellite) cable just in case I change to a satellite based set-up one day. Can I listen to FM radio on my PC? Yes, there are many TV cards that also include an FM tuner from, for example, Hauppauge. 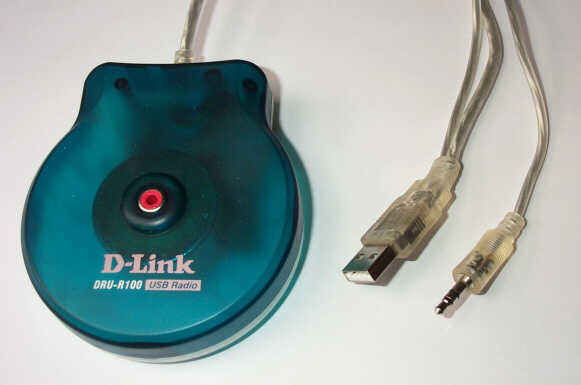 I have a D-Link DRU-R100 USB radio (often bundled free from Scan) but, despite what it says, this does not work on Windows 95. 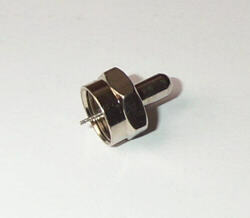 The telescopic aerial unplugs to reveal an ordinary phono socket. I have received one report of this device not working when connected directly to the NTL isolator - this could be because the DRU-R100 is not very sensitive or perhaps the impedances are poorly matched. Windows drivers, including XP, can be downloaded from Dlink Australia and Radiator is free and is better than the original software. Technetix - supplier of virtually everything else used in an installation. WARNING: this site may upset your Internet Explorer so that it won't display correctly in maximised mode. If this happens then look at Q194759 for instructions how to clear it again. If you find any errors or can contribute new information then please e-mail it to the author. To receive instructions on how to do this send a blank e-mail here and you will receive an automatic reply. I am sorry about this but it helps to cut down the amount of spam I receive. Please do not send a modified spreadsheet - just a simple text list of frequencies that you have observed is easiest for me. If you have a specific question then put it in the nthell:world forum. 25 Sep 2002 - Added station hyperlinks, re jigged intro. 23 Sep 2002 - Added Chiltern freqs - thanks 'Timo', tidied Herts&Beds info - thanks Peter Kay and 'love_music', added links to VQ330 and Diffuse. 05 Aug 2002 - Simplified dwgs, modified relevant text, added links and glossary. 04 Aug 2002 - Added fmfreqs.csv, link to more freqs, improved reference to CCW230, updated DRU-R100 price. 06 Jun 2002 - Added Guildford information - thanks to Martin Elliot. 26 May 2002 - Added Welwyn info from Les Barker and Nottingham RDS info from Kev Swindells - thanks. Referred to signal boosters. More DRU-R100 info. Explained RF lead. 23 Apr 2002 - Added Cambridge information from Cambridge University. Thanks, Robin Walker, for the link.